The Lehigh Valley Arts Council is pleased to announce the release of the new ARTix Passport to the Arts, a buy-one, get-one-free ticket to eighteen arts and cultural venues through June 30, 2016. This popular arts promotional campaign introduces the community to a splendid array of dance, musical, theatrical, and historical offerings. As a value-added membership benefit, the Arts Council welcomes new members throughout the year. Join today and receive your very own ARTix Passport to the Arts. With passport in hand, you can start booking travel plans to attend the Pennsylvania Shakespeare Festival, Muhlenberg Summer Music Theatre, the Sigal Museum, Godfrey Daniels—and many more! Members also receive discounts to seminars, backstage cultural tours, and arts services, subscriptions to the bimonthly Inside the Arts / Arts Calendar and Lehigh Valley Style, and free admission to the annual spring and fall membership receptions. The Passport is also distributed to real estate and corporate relocation offices in order to introduce new residents to the variety of arts programming in the region. Volunteers and staff at the Lehigh Valley Health Network also receive the passport, which promotes the arts are part of a healthy lifestyle. 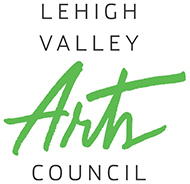 “The Lehigh Valley Arts Council is proud to provide regional leadership that advances the arts in this growing community,” says Forte. ARTix Passport is made possible through the support of Christmas City Printing, The County of Lehigh, PPL, and The Harry C. Trexler Trust. History comes alive on Saturday, September 20, 2014, with “Creating your Legacy,” at the Lehigh Valley Heritage Museum from 10:30 a.m. to Noon. Arts Alive! is a three event series of behind the scenes cultural tours for members and their friends eager to engage their mind and spirit by rubbing shoulders with the creative process. Tickets $10 for members; $15 for nonmembers. Limited availability! Learn how to uncover your heritage, enshrine your life and create your ultimate legacy! The Lehigh County Heritage Museum touts itself as a “facility that houses one of the finest historical research libraries in the state of Pennsylvania,” with 6 galleries encompassing 13,000 square feet. The Heritage Museum is one of the Lehigh Valley’s greatest treasure troves; the entire 30,000 square foot facility houses a collection with “more than 35,000 historical artifacts, 80,000 vintage photographs, and nearly 3-million documents.” The Heritage Museum is also home to the caretakers of Lehigh Valley’s history—seven employees are responsible for maintaining the collection’s integrity. Creating your Legacy, on September 20th, will be led by one of the Heritage Museum’s proud caretakers, Chief Curator Jill Youngken. She was awarded the “History Prize” for outstanding scholarship during her undergraduate education at Moravian College, before completing her Master’s Degree at Rutgers University. Certified in Archival Studies, she has presided over the Lehigh County Historical Society’s unique antiques for 17 years. Youngken began her career at the Historical Society as an educator before becoming the director of the Heritage Museum’s library and archives; her responsibilities now include overseeing the museum’s 3-million historical documents. Chief Curator Jill Youngken will offer attendees a glimpse into the lives of notable Lehigh Valley natives through rare personal relics. She will show attendees how to uncover their family legacy—and leave one for future generations! CARBONDALE, PA – An investment in Carbondale’s rich history, a new hotel and improvements to sidewalks and streetlights downtown helped the city garner top honors from a nonprofit dedicated to promoting tourism along historic Route 6. The PA Route 6 Alliance named Carbondale as the Heritage Community of the Year, making it No. 1 among more than 20 heritage communities that stretch along the 427 miles of Route 6 in Pennsylvania. “It’s nice to be recognized for working so hard,” Carbondale Mayor Justin Taylor said. Carbondale began working toward a Route 6 Heritage Community designation in 2003, Mr. Taylor said. 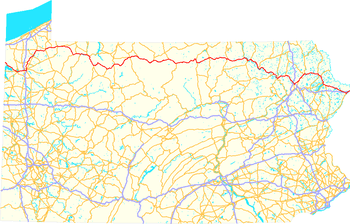 The Route 6 Alliance is a nonprofit organization that promotes tourism and economic development along the Route 6 corridor in Pennsylvania. The 5th Annual Operation Backpack 5K takes place on the Schuylkill River Trail, a flat, fast, and scenic rail-to-trail course in Pottstown, PA.
Cash Prize will be given to the top Male and Female Runner. Medals will be given by gender and age group. The course is fast, so it is not unusual to have many personal bests on race day. The event is a great race for competitive runners, and beginners, as well as walkers, both in the 5K and 1 mile. This year walkers will carry a backpack full of food across the finish line. The event benefits Operation Backpack (or OBP for short). OBP provides food to students in the Pottstown Community whom would go without over the weekend. We work to help homeless and hungry students succeed by addressing the issue of childhood hunger. Register by May 2nd to get a FREE T-Shirt!! After months of discussing potential traffic nightmares, Union Township supervisors want the developers of a proposed motorsports park to abide by PennDOT-required improvements to Route 724. The issue arose after representatives from Ethan Michael Inc., developer of the proposed Liberty Bell Motorsports Park, asked to remove a potential campground site from the original land development plan. The plan was submitted more than a decade ago, and the campground site no longer meets Department of Environmental Protection requirements due to recently identified exceptional-value wetlands. EMI hopes to continue with the motorsports park portion and potentially revisit the campground plan. 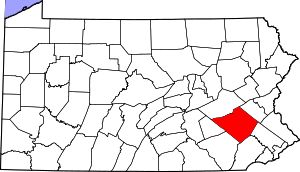 Pottstown Downtown Improvement District Authority (PDIDA) Is On The Move! Like the little engine that could, Sheila Dugan has taken the throttle of the Pottstown Downtown Improvement District Authority (PDIDA) and is chugging uphill toward her vision of a revitalized central business district. Unlike Main Street Managers in the past, this dynamo hit the ground running and is pulling PDIDA into the 21st century at warp speed. 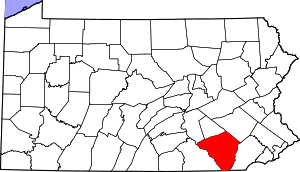 The PDIDA board has been reorganized, assessments are being collected, activities are being scheduled and a new cooperation is being fostered between PDIDA, borough hall, PAID, the TriCounty Community Network and other entities in Pottstown. Sheila actually lives in Pottstown, is a downtown business owner (she and her husband own Grumpy’s) and her children attend the Pottstown School District. Sheila is INVESTED in Pottstown (a missing component in past Main Street Managers). The perception of business owners in the downtown, by the general public, is poor. Sheila is trying to raise awareness that most businesses downtown are Mom and Pop operations. In many cases, one owner, one employee. Trying to “do it all” six days a week from open to close does not leave much time for people to attend PDIDA meetings (or much of anything else). To combat the time problem, Sheila has come up with an innovative solution – block captains. The block captains will talk with their assigned business owners and attend the meetings to speak for the group they represent. The block captains will then convey the meeting results back to their group. Email is also being used to keep PDIDA members updated, in addition to block captains and meetings. Sheila has been working closely with the Pottstown Police Department and Borough Manager Mark Flanders toward a solution for the vagrant problem downtown. Sheila said Mark Flanders and the Pottstown Police Department have been extremely helpful and cooperative in working toward a solution for this problem. You will see more police officers downtown walking a beat along with other measures that are aimed at making the downtown clean, safe and a welcoming atmosphere for shoppers, arts and restaurant patrons. PDIDA is also working with the numerous social services agencies in Pottstown. These agencies will also play a role in managing the homeless and idle population that have been congregating downtown and hampering revitalization efforts. Sheila works hand-in-hand with Pottstown Area Industrial Director Executive Director Steve Bamford to help market Pottstown and fill empty store fronts with new businesses. She said Steve Bamford has been great to work with. Marketing Pottstown is not an easy job. Another important cooperative effort taking place is between the Pottstown Codes Department and PDIDA. Every building within the PDIDA zone is being reviewed and code violations are being identified where they exist. Clean and safe buildings are certainly more appealing to consumers! Like many organizations, PDIDA has lost a large percentage of its funding. Sheila said individual and corporate sponsors are desperately needed as well as volunteers. For example, the PDIDA office downtown needs volunteers to help staff the office. Sheila is also working on fundraising efforts and is applying for grants to help fund events and projects. While we are on the subject of funding and budgets, Sheila is Pottstown’s official Main Street Manager but receives only a fraction of the salary the former managers were paid. 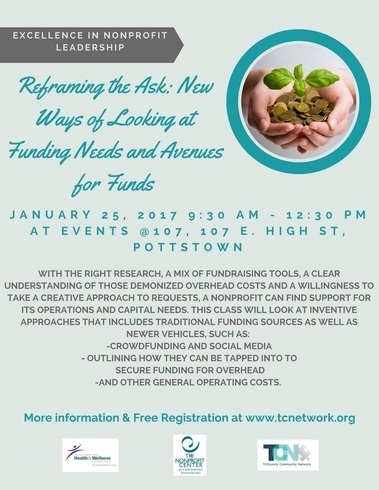 This is due to the loss of funding from the Pennsylvania Department of Community and Economic Development for the Main Street Program. Pottstown is fortunate to have someone willing to take on this herculean task, put in the time, do the hard work and get results on a shoestring budget. One last thing before I give you a list of upcoming events downtown. A while ago, one of my readers asked me if the façade program was still in existence. I emailed the former Main Street Manager, identified myself and posed my reader’s question. I never received the courtesy of a reply. I asked Sheila about this during our conversation and she told me that the façade program does indeed still exist and there is still money available. June 20 – Rumble Downtown (includes Misty May-Treanor and live music). October 12 – 6th Annual Riverfest – PDIDA is taking on this event and adding an evening component from 6pm – 8pm which will include live bands, artists, beer garden, a Bike/Art event and a TriPAC show at 8pm. Downtown restaurants will be participating. Sheila said she is always looking for participants, live music, artists and street performers for PDIDA events. I will again put in a plug for individual and corporate sponsors. Lancaster County Convention Center finances had a good month in November. Reserve funds topped $5.6 million for the public meeting center. And center officials believe this month will also end well. That means the 20 percent stake of the Lancaster County hotel room tax which has been diverted to the Lancaster County Convention Center Authority will once again be paid to the Pennsylvania Dutch Convention & Visitors Bureau. That money, which totals about $900,000 annually, has been going to the center authority since spring when the reserves required under the center’s bond indenture fell below $5.25 million. Reading’s two civic center venues are doing far better financially so far this season compared with the first five months of last season, but they still aren’t up to budget projections, the Berks County Convention Center Authority learned Thursday. Several shows sold out, but attendance at others – among them Alan Jackson and American Idol – was lackluster, Zane Collings, general manager, told the board. The civic center generally operates at a loss the first five months and did so again this year, he said. The loss was more than the budget projection, but far less than last year, he said. The lab is available for forums, small meetings and events. The owner of ViVA Good Life-Wyomissing Inc. signed an agreement of sale to buy Green Valley Country Club, if he can get subdivision approval. Jeffrey D. Hettinger said his company, JMH Inc., wants to buy 14 of the 26 available acres to expand its event operations. The remaining 12 acres would stay in the ownership of the country club. If Lower Heidelberg Township supervisors don’t approve subdividing the land, Hettinger said he would not buy the property, but instead would enter into a 10-year lease with the club.